New Delhi: The Congress today said it supports the "triple talaq" bill introduced in the Lok Sabha but wants it to be strengthened to safeguard the rights of divorced Muslim women so they live a life of dignity with adequate subsistence allowance. "Triple talaq" is the Islamic practice of men divorcing their wives by stating "talaq" (divorce) thrice. 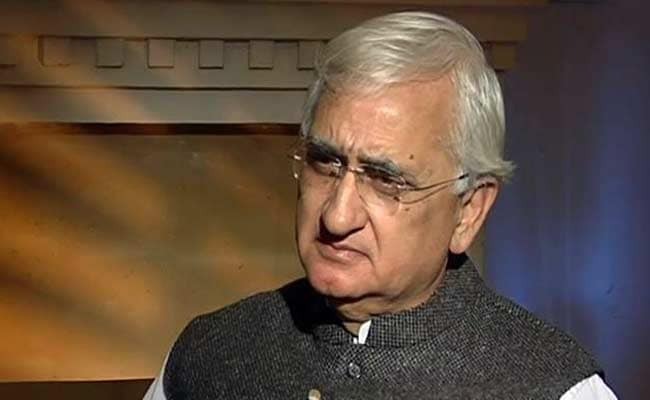 Senior Congress leader Salman Khurshid, however, a former union law minister, struck a discordant note, insisting the proposed law will be an "intrusion" into the personal lives of individuals and bring divorce, a civil issue, into the realm of criminal law. Among other things, the "Muslim Women (Protection of Rights on Marriage) Bill" provides for a three-year jail term to those found guilty of pronouncing instant "triple talaq" to their wives. Congress's communications department in-charge Randeep Surjewala said parliament must ensure the protection of rights of Muslim women and children under all circumstances. He said the Congress was the first political party to welcome the Supreme Court verdict banning "triple talaq", and had hailed it as a decisive step toward women empowerment and victory for the rights of Muslim women. "The present bill needs to be strengthened to safeguard the rights of women to a life of dignity with adequate subsistence allowance. Parliament must ensure protection of rights of Muslim women and children under all circumstances," Mr Surjewala said. Mr Khurshid, however, said, the bill is an intrusion into the personal lives of individuals. "Taking criminal law into the family, you have to be careful. To make divorce in any form a criminal matter is unacceptable anywhere in the world," he said. Mr Khurshid, also a Supreme Court lawyer, said divorce or consequences of divorce, are areas of civil law and not criminal law, which comes in only when there is violence. "Criminal law is kept out of family as far as possible, which is a general policy everywhere. Why are we bringing criminal law into something which is a non-existing factor? 'Triple talaq' is no institution or institutional fact of life, the Supreme Court has made it very clear," he said. Mr Surjewala said Section 5 of the bill merely states that Muslim women are entitled to subsistence allowance without defining subsistence allowance and explaining the method of calculating it. It also does not clarify whether the maintenance awarded to a Muslim woman under Sections 3 and 4 of the bill will be deducted from the proposed subsistence allowance or will it be in addition to that. He said there was no clarity on whether a divorced Muslim woman be entitled to one of the two. "Why should onus of proving instant 'triple talaq' be on women? Like in every other law, the onus of proving the pronouncement of instant 'triple talaq' would be on the victim. Why can't this law then envisage a presumption in favour of the woman, putting the onus of proof on the husband to establish that instant 'triple talaq' was not pronounced by him?" the Congress leader said. All Muslim women's groups have asked an obvious question as to who will pay the maintenance and subsistence allowance once the husband is in jail, Mr Surjewala said. Terming the bill as "very important" and "significant", Congress spokesperson Sushmita Dev said her party will work with the government to bolstering the rights of Muslim women. She said the Congress will stand by any progressive legislation that adds to empowerment of women. "But the bill needs to be watertight when it comes to the financial security and dignity of women," she said.